Home › What is Fascia? Fascia is a specialized system of the body that has an appearance similar to a spider’s web or a sweater. Fascia is very densely woven, covering and interpenetrating every muscle, bone, nerve, artery and vein, as well as, all of our internal organs including the heart, lungs, brain and spinal cord. The most interesting aspect of the fascial system is that it is not just a system of separate coverings. It is actually one continuous structure that exists from head to toe without interruption. In this way you can begin to see that each part of the entire body is connected to every other part by the fascia, like the yarn in a sweater. It is thought that an extremely high percentage of people suffering with pain and/or lack of motion may be having fascial problems, but most go undiagnosed. 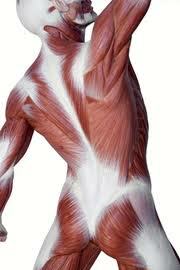 The study of fascia and it’s function has been largely neglected and ignored for many years. Fascia is not seen on standard diagnostic tests, such as an MRI or X-ray. Fascia provides the environment for all of our nearly 37 trillion cells and is responsible for critical elements, such as providing structural integrity, support, protection, and shock absorption throughout our bodies. Fascia plays an important role in the support and function of our bodies, since it surrounds and attaches to all structures. In the normal healthy state, the fascia is relaxed and wavy in configuration. It has the ability to stretch and move without restriction. When one experiences physical trauma, emotional trauma, scarring, or inflammation, however, the fascia loses its pliability. It becomes tight, restricted, and a source of tension to the entire body, producing approximately 2,000 pounds per square inch on pain sensitive structures. Trauma, such as a fall, car accident, whiplash, surgery or just habitual poor posture and repetitive stress injuries has cumulative effects on the body. Fascial restrictions affect our flexibility and stability, and are a determining factor in our ability to withstand stress and perform daily activities. Click below to view a short video on fascia and it’s impact.